Elisha Cooper spends his morn­ings creating children’s books and his afternoons playing with his two daughters. But when he discovers a lump in five-year-old Zoë’s midsection as she sits on his lap at a Chicago Cubs game, everything changes. Surgery, sleepless nights, months of treatment, a drumbeat of worry. Even as the family moves to New York and Zoë starts kindergarten, they must navigate a new normal: school and soccer and hot chocolate at the local café, inter­rupted by anxious visits to the hospital. Elisha and his wife strive to help their daughters maintain a sense of stability and joy in their family life. And he tries to understand this new world—how it changes art and language and laughter—as he holds on to the protective love he feels for his child. ELISHA COOPER is the author of many children’s books, including Train, Farm, Homer, and 8: An Animal Alphabet. Beach received a Society of Illustrators Gold Medal in 2006 and Dance! was a 2001 New York Times Best Illustrated Book of the Year. He was awarded a Sendak Fellowship in 2016. 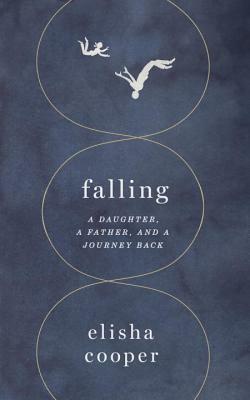 Cooper’s books for adults include A Year in New York and the memoir Crawling: A Father’s First Year. He lives with his family in New York City.